Blimey these are good! I’ve been after a hugely tasty cookie for ages – I found these in my latest edition of Baking Heaven, got stuck in and of course, messed around with the recipe a little. I didn’t expect them to be quite so filling with the White Chocolate centre but they are truly amazing. Tara and Violet prefer them without the filling – They are just a good and chewy the following few days too. The original recipe comes from Eve & David O’Sullivan and is featured in their Bake in Black cookbook which I am seeing everywhere at the moment. I’ve not invested yet but if more recipes are half as good as this one, then its a must! In a large bowl, combine the oil, caster sugar & egg - Gradually add the treacle, oats, bicarb & spices. Fold in the flour. Once mixed, you should be able to bring the dough together in a large bowl. Chill for 10-15 minutes. Separate the mixture into 32 evenly sized balls and flatten slightly with the heel of your palm - Place on a baking tray. They will spread a fair bit though so don't place too close together. I piped the White Chocolate filling with a star nozzle but if you can't wait that long, spread it on with a spoon - Delicious! It feels like forever since I did a Bake of the Week roundup – I don’t like to post until all posts have been commented on and shared, therefore why there has been such a delay. The good news is that Tara is now fully ensconced at school so Bake of the Week will be back to its regular Tuesday slot every week now. Thanks for bearing with me until now! 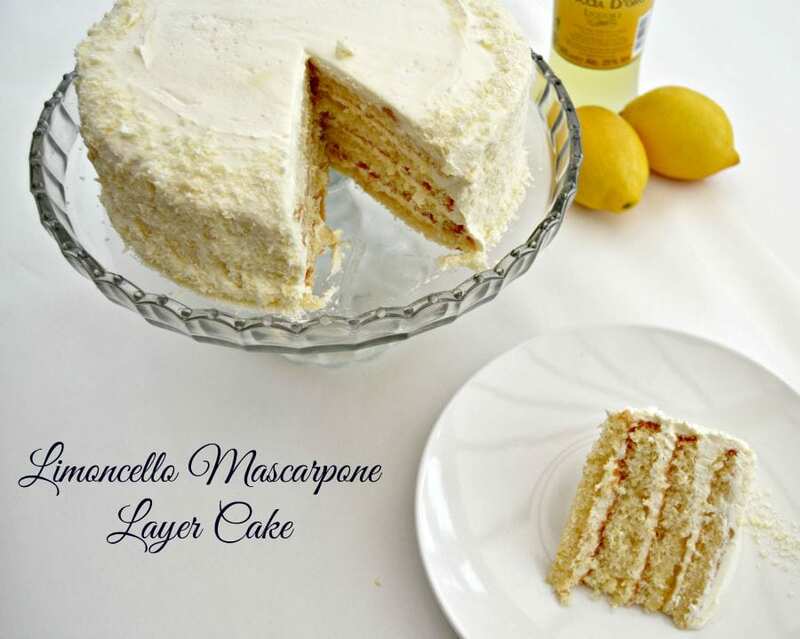 My featured Bake of the Week is this absolutely stunning Limoncello Mascarpone Layer Cake from Andrea at All You Need Is Love And Cake – Just a beautiful spectacle that would be a delight at any table. 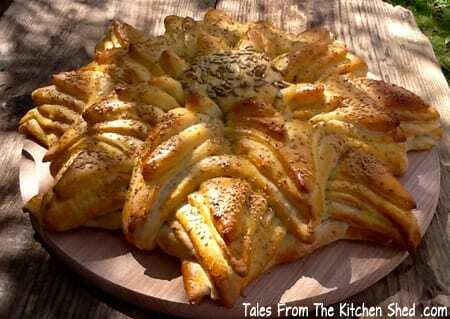 I couldn’t leave out this Flower Bread from Sarah at Tales from the Kitchen Shed either. Proving (pun intended) that pre-planning pays off with her Flower Bread work of art. 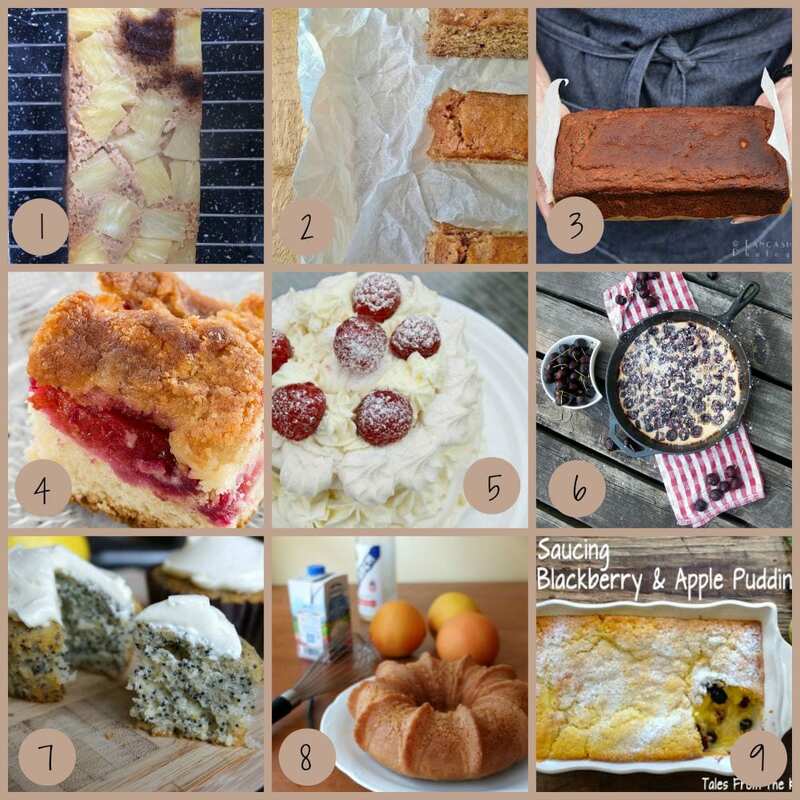 I also want to give a mention to the Free From Fairy for her post on Tips for Free From Baking – A lot of knowledge, expertise and time goes into these type of posts – Thank you for sharing your tips. 1. Very impressed with this Coconut & Pineapple Cake from Its Not Easy Being Greedy that is Sugar Free, Gluten Free & Dairy Free – That is a talent! 3. Read all about Lancashire Food’s quest to make their own honey – They have also been producing a magnificent Banana & Honey Loaf Cake with is GF & contains no artificial sugars. Looking forward to hearing more about the bees soon. 5. I was really sad to run out of time and not be able to make a meringue layer cake – Baking Queen 74 did a beautiful job of hers. 6. Perfectly pretty Cherry Clafoutis from Petite Raisin – I love a clafoutis in autumn! 10. Mini Chocolate, Nutella Ganache & Hazelnut Praline Layer Cake from Domestic Gothess – her fiancé is a lucky man! Happy birthday to him! 12. Wow to this combination of Chocolate Crunchie Frangipane Tart from Its Not Easy Being Greedy – I am so impressed! 13. 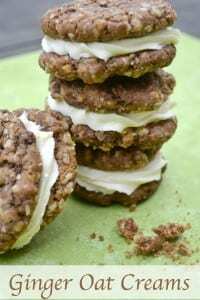 Slow Cooker Chocolate Oat Bars – The creations Baking Queen 74 comes up with in a Slow Cooker just blow me away – Fantastic! 14. Can’t beat a Chocolate Kiss – Love these from ET Speaks From Home and they are from the Bake in Black book too! 16. You can always guarantee that Winnie will go the extra mile – Homemade cheese made into this amazing cheesecake – completely with translated recipe. What a woman! As usual, all bakes are welcome and shared manically across the internet. Savoury, sweet, small, big, tarts, biscuits, cakes, pies, anything slow cooked or baked in an oven. Oh those cookies do look good! I rarely bake biscuits as my oven seems to always burn the bottoms, time for another try. 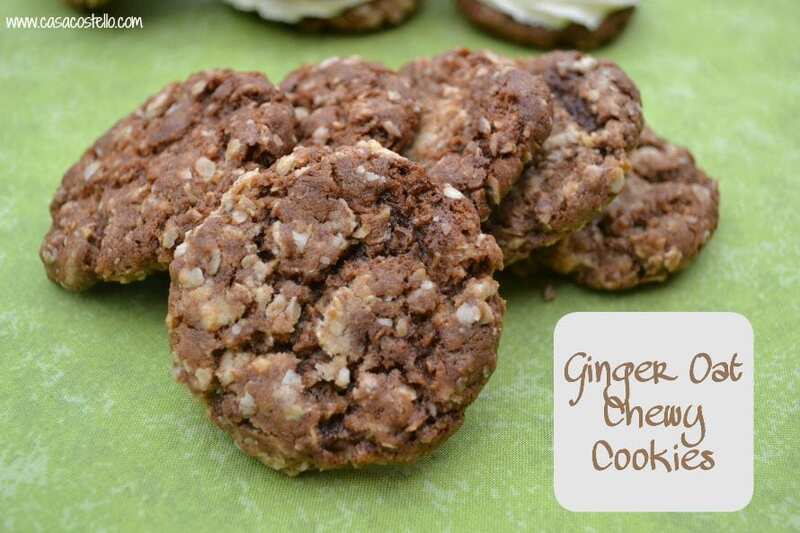 Oooh, I love ginger biscuits and these sound amazing with the treacle and oats! Any cookies with ginger get my attention and reading the list of ingredients I think I will have to get baking now to try them for myself! They do look amazing your biscuits and oats are very healthy too. Thank you for hosting. Ciao! 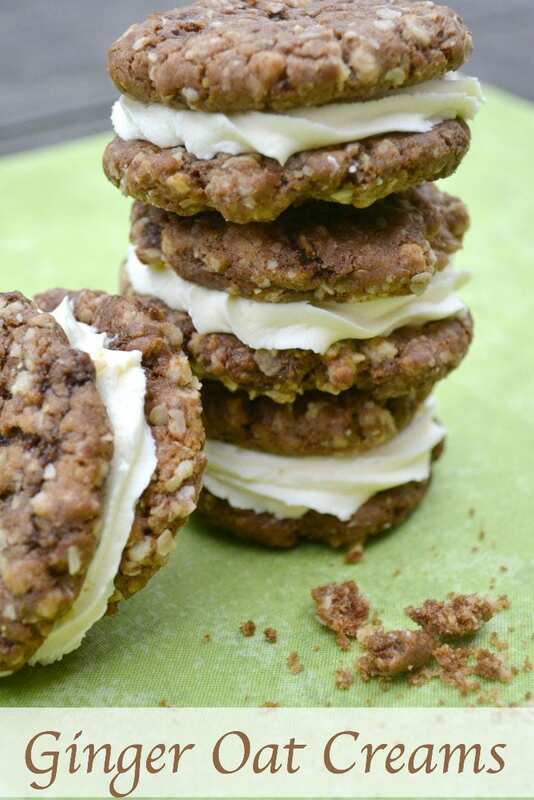 Your chewy ginger oat creams look delicious, must give them a try. Thanks for hosting. 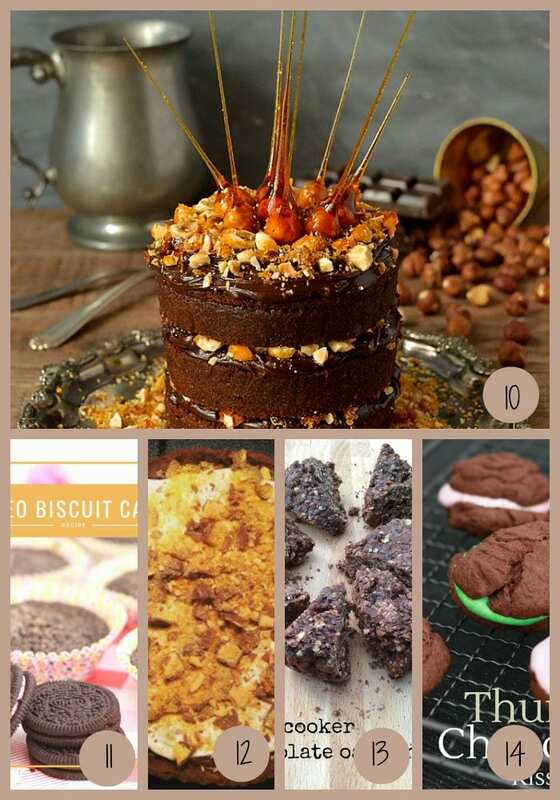 So gorgeous Helen – thanks for entering these into #treatpetite – they look so decadent! These look absolutely gorgeous! Cannot wait to try this recipe out. Thank you!